...literally. 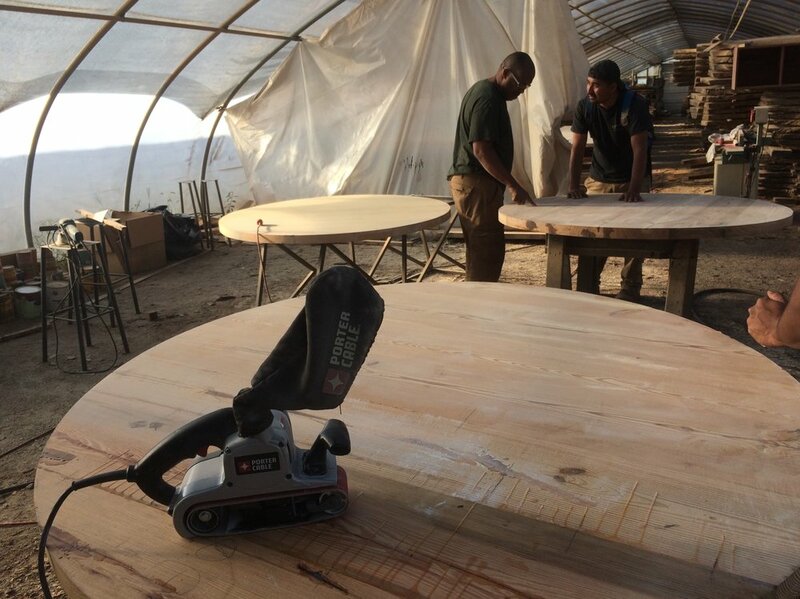 We're making six round yellow pine tables for a restaurant in Long Island. Here we are cutting out our perfect circle with the router - which broke after the fourth table. Good thing we kept the receipt! The best part about circular tables? You can just roll them all the way to the customer! ...or to the yard to be sanded. OK. Now they're ready to be rolled to Long Island...or maybe we'll just take the van. Sunday morning 7:30 am MSNBC "your business"is doing a story on us and it airs tomorrow... we are sure anyone with a dream big or small can relate!